Yesterday afternoon, it was announced that Samsung was set to acquire SmartThings, a company specializing in home automation, for an estimated $200 million. SmartThings has had a short journey on its way to acquisition, having raised over a million dollars on Kickstarter, then receiving an additional $12.5 million in Series A funding late last year. As for Samsung’s plans, it seems rather clear, as Google went ahead and snatched up Nest, and Apple launched HomeKit. Samsung does not plan on being left behind in this space, as SmartThings is now packing up its office and heading on over to Samsung’s main California office in Palo Alto. So, what can we expect to see from Samsung down the road thanks to this purchase? For starters, SmartThings specializes in smart water sensors, door locks, light switches, and much more. 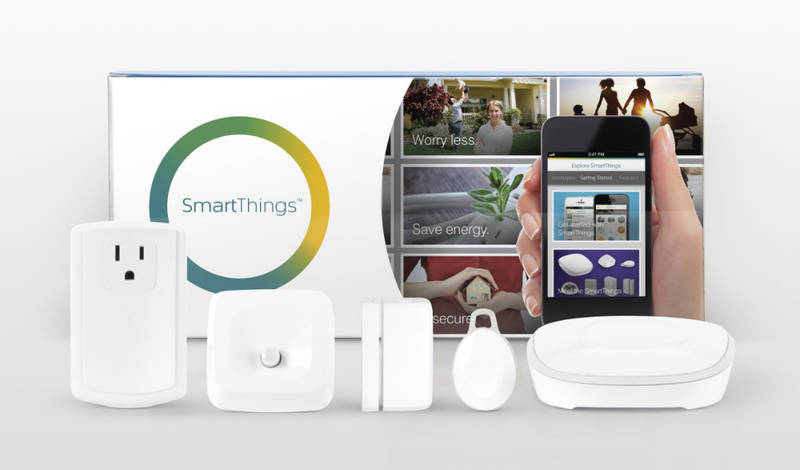 In the future, these products could come with a Samsung logo on them, but for now, SmartThings will operate independently from the tech giant. The next five years are looking pretty intense in the home automation space.